Cavaliers win their first game of series and now trial 2-1. The Cavaliers will look to carry the momentum into Game 4 in Cleveland. 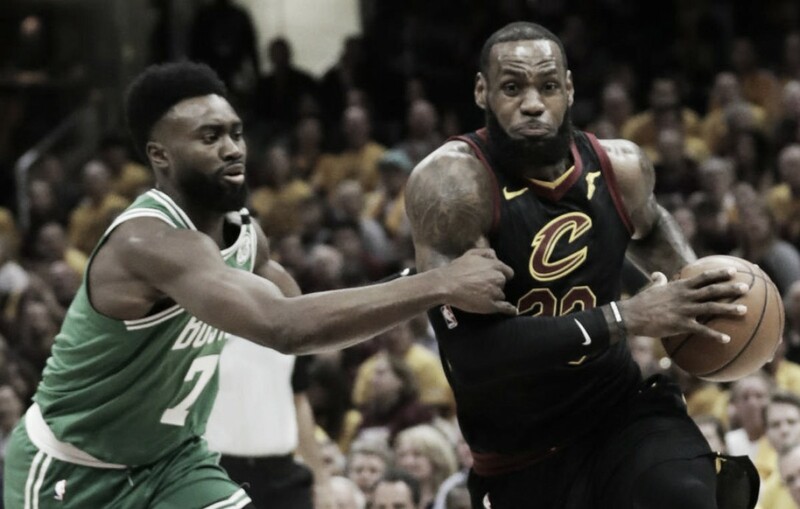 Cleveland Cavaliers showed their strength in Game 3 as they defeated the Boston Celtics at Quicken Loans Arena on Saturday but still trail the series 2-1 in the Eastern Conference Finals. Cavaliers' LeBron James scored 27 points and recorded 12 assists, five rebounds, three steals and two blocks. Followed by Kevin Love and George Hill as they both scored 13. For the Celtics, rookie small forward Jayson Tatum led the team with notched 18 points, followed by Terry Rozier III as he put up 13 points. The Cavaliers will host Game 4 at Quicken Loans Arena, on Monday, May 21 and will look to keep the momentum going in hopes for tying the series at two games apiece. The game began with Cleveland already taking the lead, and at the 7:54 mark, they jumped to a quick 9-4 lead. Four minutes later, they blew the game out with a 27-11 lead. James led the Cavaliers to a 32-19 first quarter lead. At the second quarter, the Celtics started to struggling to shorten their difference as they had tallied 24 points. The Cavaliers didn't stop there as the margin grew to 29 points. As the difference between them was too much, even playing a better basketball, Boston had never threatened Cleveland. And at the four-minute mark of the third quarter, the Cavs led by 19 points. The Celtics couldn't get it going as two minutes later, the difference rose to 25 points as they trailed 87-63. James totaled 27 points and nine assists after the third quarter. Besides him, Love recorded a double-double with 13 points and 14 rebounds. On the other hand, Tatum and Rozier III were the only two Celtics having any offensive success as they put up 13 points after three. The game's level play reduced at the last period. Still, the Cavs notched 29 points with Boston putting up 23. It was a blowout win for the Cavaliers, winning 116-86.